Don't grow too attached to these upcoming titles. The 3DS had a rough start. Not only did it sell below Nintendo's lofty expectations, but we've also seen a few high profile cancellations, including Mega Man Legends 3, Assassin's Creed: Lost Legacy and DJ Hero 3D. Unfortunately, things could get worse if the system doesn't catch on with consumers. Nintendo did its part, slashing the price from $249.99 to $169.99, but that doesn't guarantee millions of units sold. For now, everything's a big question mark. That said, and if things don't improve, we expect to see more cancellations in the coming months as third party publishers cut their losses or move projects to different machines. On that note, we present the 3DS titles most likely to get the axe. Square Enix hopes to test the 3DS waters with an ambitious action RPG centered around adventurers exploring a fantasy land in search of a cure to heal a powerful ruler. Drop in/drop out co-op, the ability to trade items with other players and daily challenges could make for a fun time. On that note, this is quite the experiment. Square Enix wants to cash in with a new intellectual property, no easy feat in this franchise driven industry. N-Space does good work, but it remains to be seen whether Heroes of Ruin will see the light of day if 3DS sales continue to plummet. Fighting games are all the rage on Nintendo 3DS, with Super Street Fighter IV 3D Edition and Dead or Alive Dimensions already sitting on store shelves. Rival Namco Bandai apparently wants to join the fray with Tekken 3DS. A recent tech demo showcased what it could do with the hardware, but that doesn't mean the game will appear. There will be little reason to bring its critically acclaimed fighting series to 3DS if the system falters. Why did Revelations make the list? Because Capcom already canned Mega Man Legends 3, and we can't rule out history repeating itself, especially with customer faith in the publisher dwindling with each poor decision. 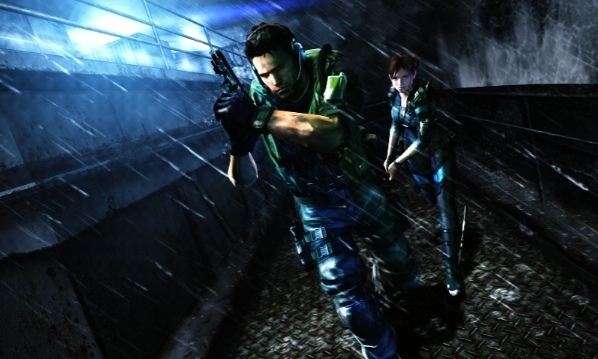 On the positive side, Capcom continues to release new screens and details for its survival horror adventure. Then again, it did the same with Legends. Ubisosft, already responsible for several 3DS disasters, assassinated Assassin's Creed: Lost Legacy, so at this point, anything's fair game. Driver: Renegade 3D will probably see a release. James Noir? Not so sure. 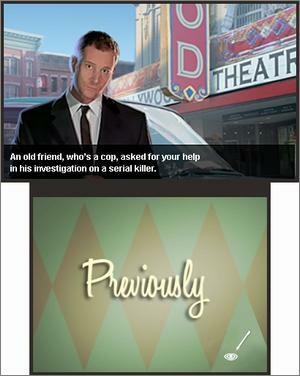 This 1960s crime drama tasks players with solving a murder mystery, one puzzle at a time. It was supposed to appear a few months ago but got pushed to November. Not a good sign. 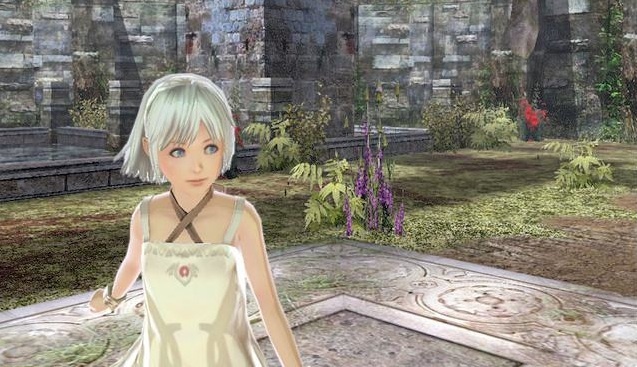 Celebrated RPG developer, tri-Ace, is hard at work on some sort of exploration game starring a beautiful young lady. 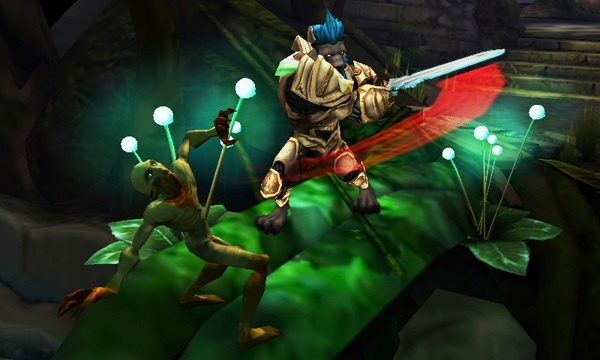 Beyond the Labyrinth is without question one of the most attractive 3DS games we've seen. We also don't know much about it, and like Heroes of Ruin, new IPs will be a tough sell to a small 3DS community. Perhaps it would be a better fit on PlayStation Vita. 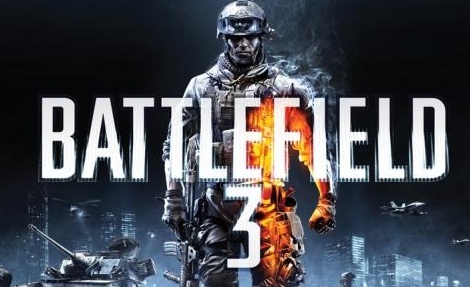 3DS owners went nuts over a listing for a 3DS version of Battlefield 3, Electronic Arts' highly anticipated first person shooter. Thing is, we've yet to receive any details, screens or video. In fact, the listing could be one huge mistake.